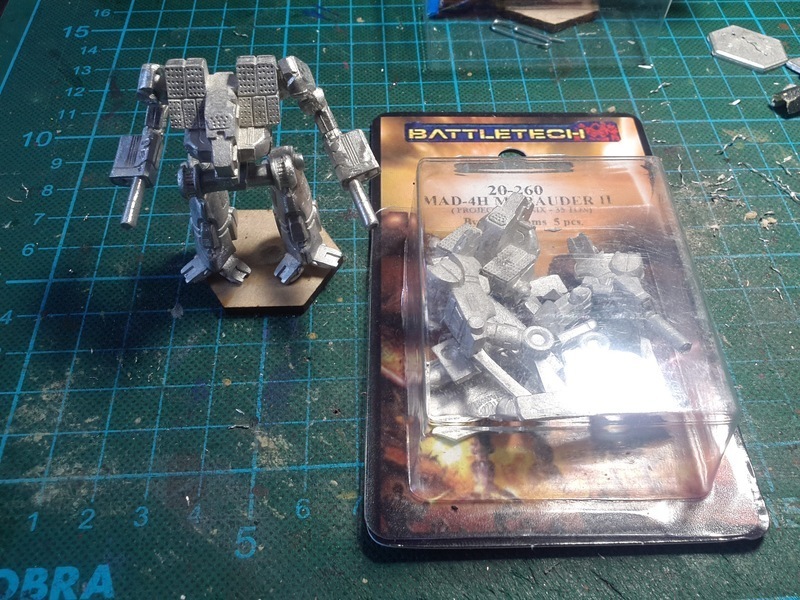 In our ongoing BattleTech campaign, our unit bought two Marauder II for which I had no models. 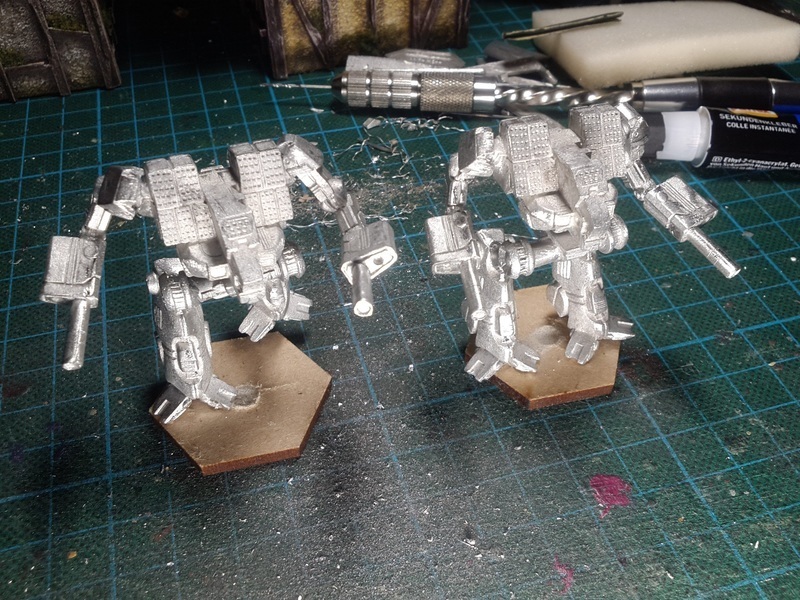 So, after ~10 years, these two are my first BattleTech models I paint. For bases, I used War Bass' Hexagonal Bases (3mm/30mm), drilled a hole in the middle and glued a 5mm rare earth magnet in place for later storage. All the joints were pinned with paper clips for added stability.